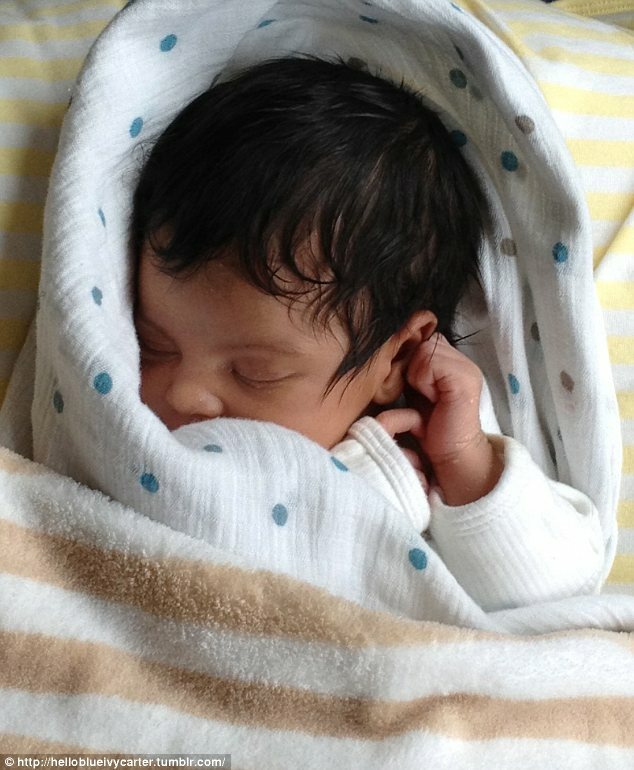 Here's your first look at the much anticipated photos of Beyonce and Jay-Z's one month old baby girl Blue Ivy carter. 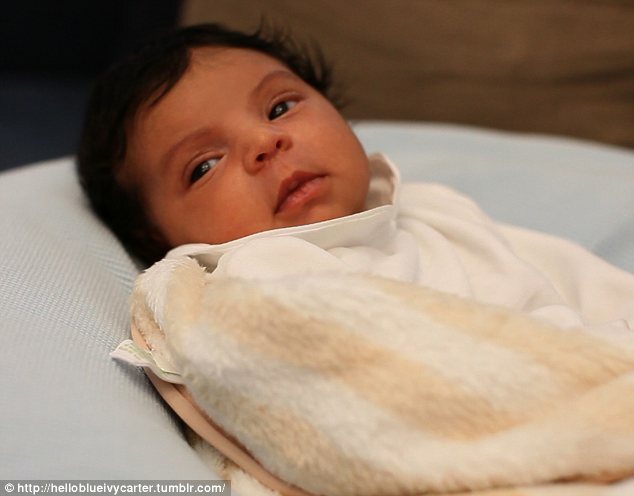 The couple shared the intimate family photos on Beyonce's official website and on their new tumblr blog titled 'Hello Baby Blue Carter'. Photo of Beyonce holding Blue Ivy's tiny hands. 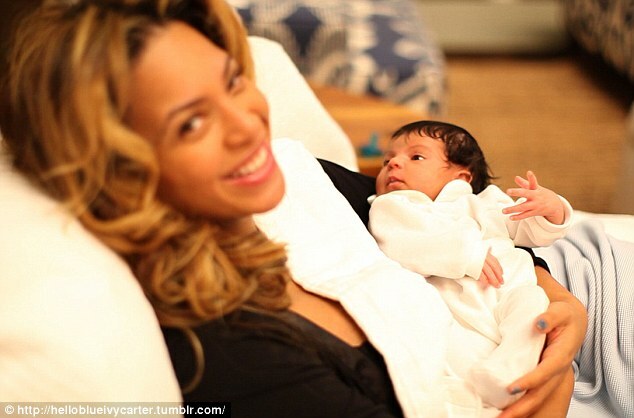 New mom Beyonce with baby Blue Ivy. The new parents posted this note to their blog. 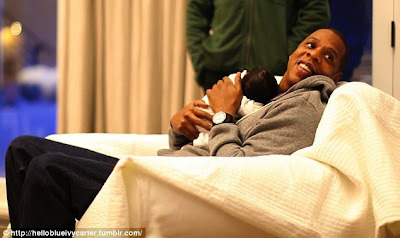 Jay-Z with daughter Blue Ivy for whom he wrote his latest song 'Glory'. What do you think of Beyonce and Jay-Z's family photos with Blue Ivy? Leave a comment below. What a good looking baby. omg what a cute baby! Wasn't sure what to expect but thank heavens she looks like Beyonce. A sip of jay and her whole glass of B. The last photo did it for me adorable. She is beautiful~so proud for you both :) What a blessing!